Metallix Refining•The Metallix Report•Gold News•How is platinum used in the health care industry? Platinum is a rare precious metal, and one of the most costly on the market, Live Science reported. It is utilized in a number of ways, from the development of electronics to the production of jewelry. A lesser known fact, perhaps, is that platinum is widely employed in the health care industry. This article will take a closer look at platinum's biocompatibility and some of the health-based innovations that make use of this versatile precious metal. As detailed by Mining.com, platinum can trace it's history back, in terms of human use, to at least the Ancient Egyptian period. The source explained that there is also evidence to indicate that platinum was used for jewelry purposes throughout South America, by the indigenous tribes that populated the continent in ancient times. Platinum was then once again "discovered" in the Americas by Spanish explorers in the 16th Century, although they were unaware of its value at the time. The metal resurged in popularity and value after it was discovered in Ontario, Canada in the late 1800's, a finding which led to Canada becoming the world's leading platinum producer until at least the 1950s. Platinum was also discovered in South African reefs, circa 1925, leading to the development of another successful platinum industry. Today, as reported by World Atlas, platinum is produced on the largest scale by South Africa. The amount of platinum that South Africa yields, in comparison to the other major producers such as Canada and the U.S. is staggering – when you combine all of the platinum put forth from all other nations, South Africa is still responsible for an output that is double that total amount. Put another way, South Africa produces close to 70 percent – 68 percent, to be precise – of the world's platinum. So why is it so valuable? As explained by Live Science, platinum's value is a consequence of its scarcity, although as Minning.com noted, it isn't quite as rare as gold. In terms of physical properties, platinum is very dense, although it is also easily transformed into other shapes – hence its widespread use in electronic wires, Live Science stated. Furthermore, much like gold, platinum is highly resistant to corrosion. As discussed, the versatility of platinum make it ideal for use in a number of areas. For example, as outlined by Platinum Investing News, alongside jewelry, platinum is harnessed in industry and for the development of autocatalysts. The focus of this article, however, will be the use of platinum in the health care industry. "South Africa produces close to 70 percent of the world's platinum." Platinum is widely used in the health care sphere due to its high biocompatability. This term denotes any kind of material that is suitable for use within the human body. In other words, materials that, when put into contact with human tissue, do not have any averse toxic effects are understood to be biocompatible, a white paper from Pittsburgh Plastics explained. Platinum meets this criteria, and is notable for being resistant to corrosion engendered by chemical processes in the body, Azo Materials stated. In addition to its anti-corrosive properties, platinum is well-suited to the development of medical devices – think pace makers and hearing aids – due to the fact that it not only shows up well on X-rays, but also the fact that it conducts electricity extremely well, an article by Alison Cowley, published by the Johnson Matthey Technology Review explained. Catheters, according to Cowley, are used for any number of reasons in the medical sphere: A catheter is essentially a tube which is inserted into a patient's body for medical purposes. The tube can be used to remove bodily fluids, or it can be harnessed to deliver certain medications to a patient, an article from News Medical explained. 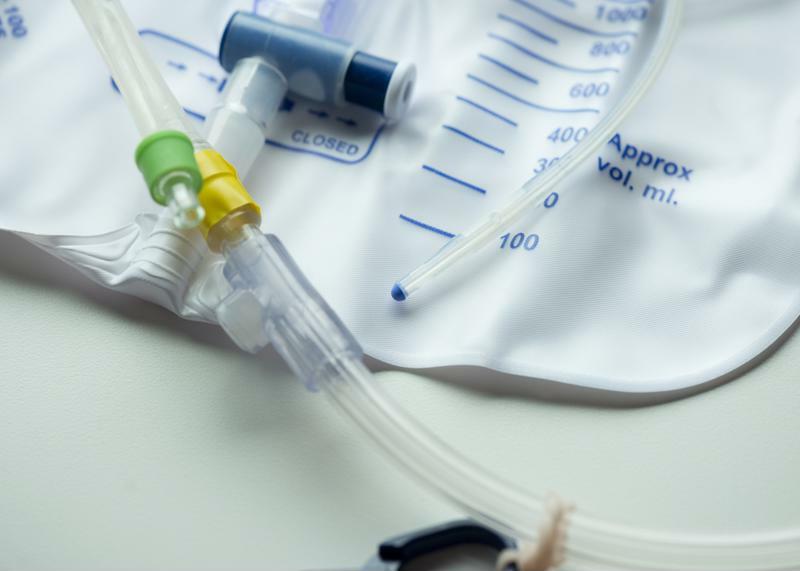 Catheters are also commonly used to keep patients fed and hydrated. On account of its versatility, catheters have been developed for implementation in varying parts of the body. For example, there are urinary catheters, cardiovascular catheters and more. Platinum is used in the implementation of many catheters, Cowley explained. For example, catheters are inserted in the correct places when surgeons employ guidewires, which are made of platinum. Cowley elaborated that some catheters also utilize electrodes made of platinum. The purpose of these kinds of catheters – known as electrophysiology catheters – is to help diagnose and manage various conditions that fall under the banner of cardiac arrhythmia. As noted by the American Heart Association, cardiac arrhythmia, in its most basic sense, refers to problems with heart beat which is a corollary of abnormal electronic signals in the heart. As explained by Platinum Jewelry, cardiac pacemakers and defibrillators, two devices that are often placed inside a body, contain parts made from platinum. The reasoning for this is twofold: Firstly, both devices make use of electricity and platinum conducts electricity very well. Secondly, platinum is, as outlined, highly biocompatible, meaning that it is safe to use inside the body. This also helps reduce the risk that the body will reject the device. Catheters and defibrillators are designed to monitor heat rate and help preclude cardiac arrest. There is a difference between the two devices: Defibrillators step in and shock the heart when it becomes apparent that a cardiac event is imminent. Pacemakers, on the other hand, are smaller and work to monitor heart rate over time, ensuring that it doesn't drop below a certain beat. Platinum products can be used to facilitate the insertion of catheters. Nicknamed "brain pacemaker," neuromodulation devices are designed to send electrical signals to the central nervous system, a process which can help manage and treat a slew of chronic conditions, Cowley stated. Examples of such devices include hearing aids and nerve stimulation devices. Platinum is central in the design of many neuromodulation devices – again on account of its ability to conduct electricity and high level of biocompatibility. The platinum is often used both in the design of the product itself and as a means of conducting electricity, via platinum electrodes. Neuromodulation devices are harnessed to treat an array of chronic conditions, from hearing loss to degenerative neurological illnesses such as Parkinson's Disease. There are also neuromodulation devices available that can help treat symptoms of chronic pain. This condition in particular can be treated with a kind of neuromodulation device known as a spinal chord stimulator. This involves the insertion of electrodes into a patient, composed of platinum, and a generator which controls the level of electronic pulses. The device then works to send stimulating pulses which have been shown to curtail the effects of pain. As noted, platinum isn't just used to build medical tools and devices. It can also be found in certain forms of medical treatment, notably those employed to fight certain kinds of cancer. For example, as detailed by Platinum Investing News, breast, lung, ovarian and testicular cancers are commonly treated with the help of the drugs carboplatin and cisplatin, both of which contain platinum. The reason for this is because the division and proliferation of cancer cells can actually be curtailed by platinum in its chemical form, Platinum Jewelry reported. The source elaborated that these drugs can be highly effective at treating the disease. Indeed, the 85 percent cure rate for testicular cancer, currently observed today, can be credited to the introduction of cisplatin. Before this occurred the cure rate stood at just 10 percent. This is just a quick look at the range of medical devices and treatments that make use of platinum. There are countless other innovation, including medical tools used by surgeons, that contain component of this highly effective, versatile and valuable precious metal.